Eli Broad, like Alice Walton, the Fishers and George Lucas, has a long history with the city in which he practices his “venture philanthropy.” Broad was not born in Los Angeles, but like the Fishers in San Francisco, he has a long involved history with existing arts and cultural institutions. He has sat and currently sits on the boards of many art museums. Like the Fishers, Lucas and Walton, his decision to build a museum to house his art collection is motivated (partially) by his commitment to his city. But Broad is also doing something in addition to what the Fishers, Lucas and Walton did with their museums; he is utilizing his museum project as leverage for further economic growth. Sure Walton sees Crystal Bridges as having a positive economic effect on Bentonville, but there is nothing in Bentonville: Crystal Bridges is the local economy. 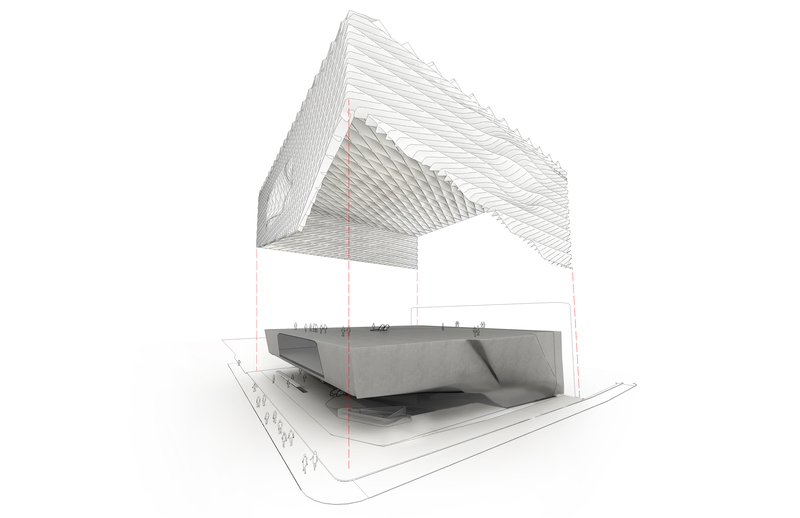 Broad is building his museum, not in a rural city, but in the second-most highly populated city in America. Los Angeles already has the strongest brand of any city in the world, and an existing diversified economy. Sure, part of Los Angeles’ economy depend on arts and culture, but it arguably has plenty of existing organizations and venues. If Eli Broad had attempted to build his museum in a place like San Francisco, he might have come up against more public opposition as did the Fishers and Lucas. Grand Avenue framed by Disney Concert Hall. Eli Broad’s dealings with MOCA coincided and aligned to renewed, old interests in downtown Los Angeles. Broad served as chairman of the Grand Avenue Committee, an advisory body formed in 2000, responsible for planning and overseeing a massive $3 billion redevelopment plan for an area along Grand Avenue and Bunker Hill originally estimated to be completed in 2009. 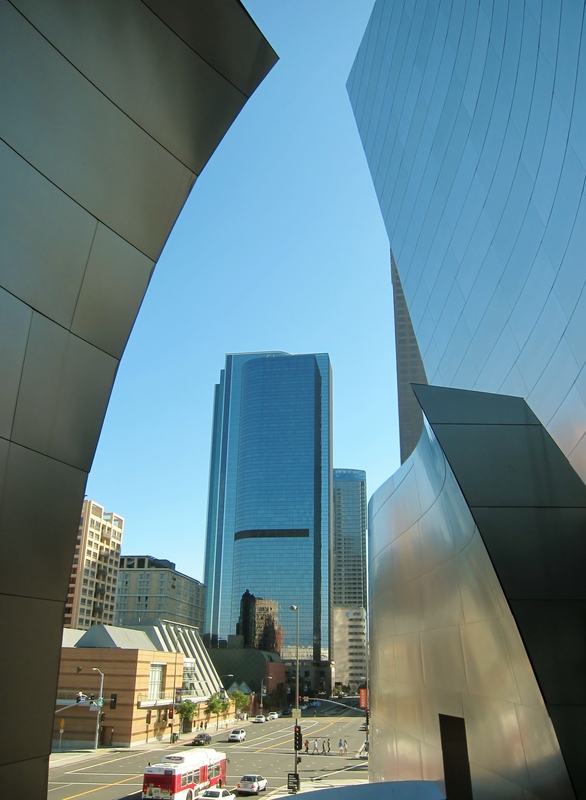 In the previous decade, Broad had been instrumental in the realization of Walt Disney Concert Hall. The widely recognized structure was designed by Frank Gehry in his now iconic style of undulating silver forms. Lillian Disney (wife of Walt) initiated the concert hall project in 1987, with an initial gift of $50 million. [ii] It would take 16 years and another $224 million to complete the project. The County of Los Angeles provided the land and $116 million in funding toward a six-level subterranean parking garage beneath Gehry’s building. By the mid 1990’s, after years of sagging economy, the garage was the only complete portion of the project—capped with a vacant slab of concrete. 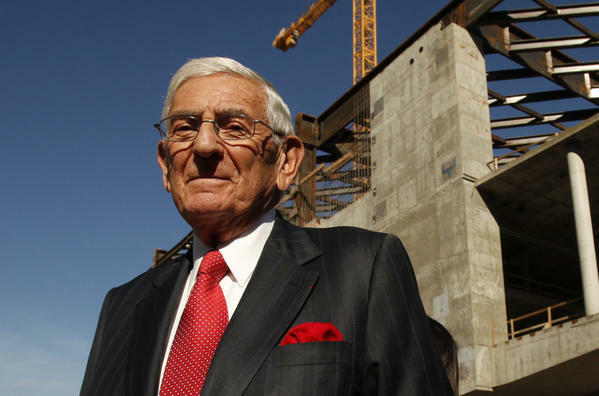 [iii] Enter Eli Broad and his fundraising partner-in-crime, Mayor Richard Riordan. Both men personally contributed $5 million to revive the building campaign, and Broad helmed the fundraising effort and raised an additional $120 million dollars from private and corporate contributors in three years. [iv] Walt Disney Concert Hall finally opened in 2003. Another Broad beneficiary located on Grand Avenue is Central Los Angeles Area High School #9, now called the Ramon C. Corteines School of Visual and Performing Arts. In 2001, Broad had encouraged school officials to build an architectural statement and create a school focused on visual and performing arts education, rather than the originally planned, modestly-priced, $87 million campus. [v] Broad initially agreed to contribute to the project, but later threatened to withhold funding if the school did not operate as a charter high school as he saw fit. [vi] The campus welcomed its first class in 2009 with a price tag of roughly $230 million. Broad’s mission with the High School was accomplished: another architectural monument and another piece of Grand Avenue complete.